Not long after my son was born, I was chatting with a girlfriend who is always on the leading edge of new things. “It’s great that he’s a summer baby!” Marcie said. “You can volunteer him at Roots of Empathy.” Roots of what now? My husband and I had talked about instilling a spirit of volunteerism in our son early on, but wasn't this a bit ahead of the game? My friend explained it was indeed possible to introduce a baby to the world of volunteering, and that Max would have as much to gain as teach. I couldn't wait to find out more. The research relating empathy to successful adulthood and leadership was mounting, yet at the same time, evidence also shows that empathy is quickly declining among children and adults. In its groundbreaking 19 years, the Toronto-born Roots of Empathy “has shown significant effects in reducing levels of aggression among school children while raising social and emotional competence and increasing empathy,” according to its website. 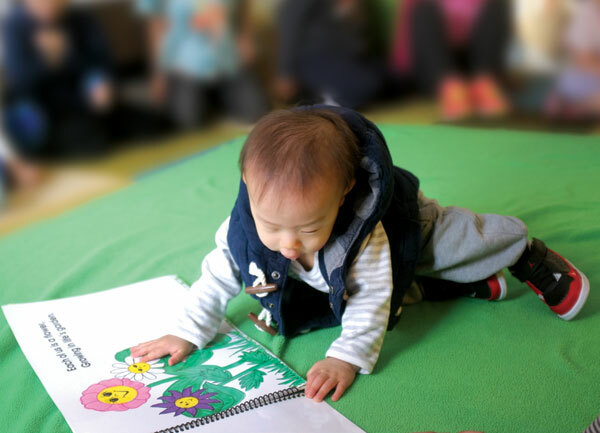 The volunteer baby would “teach” in a classroom of young children to demonstrate human development and human emotions, and instruct learnings about compassion and empathy. Sign me up! I contacted the program coordinator to find out Max’s eligibility and suitability for the program. At the time, Max and I were placed in the running for only 32 spots in the entire Edmonton and surrounding City of St. Albert, and there was a long queue. But a couple weeks after we applied, I received a call – they had an opening for us at Mother Teresa Elementary! The rest, then, was just logistics. By design, Roots of Empathy benefits not only the students, but also the baby. Once every three weeks, Max and I went to a kindergarten class for 30- to 60-minute lessons on a central theme (e.g., feeding, sleeping, safety). The students and teachers exercised extreme care in hygiene. There was a large mat that only Max and I could go on, while the kids sat in a circle around us. I always joked that by giving Max so much attention and only allowing the kids to touch Max’s feet that it was giving him a big ego, but I truly appreciated the teachers’ meticulousness in caring for his safety. Each time Max was at school, the kids would sing him welcome and goodbye songs. They were his friends and fans. They drew him pictures, wrote him fan-mail, story books, and built a large posterboard of “their baby” that hung beside the smartboard all year. To my amazement, I saw significant progress made by the students and by my baby/teacher. They began to master interactions with Max as classes went on, and expressed their own emotions much more appropriately and fluently. My biggest reward was to see Max reach developmental milestones earlier than others his age, despite being a preemie. It is possible – even likely – that this is the result of him absorbing his older students’ social cues from this unique classroom exposure. Since its inception, the program has spread across Canada and the world, reaching more than a half a million children. Founder Mary Gordon has met the Dalai Lama three times, and he has expressed that programs like Roots of Empathy will build world peace. Mary spoke about the “entitlement generation” – a phrase that is commonly being used to describe attitudes of self-importance sometimes associated with Gen Ys and Zs. What are we doing to steer change against self importance and encourage the new Generation Alpha to develop compassion, social responsibility and better manage stress and aggression? Roots of Empathy is just one tool that demonstrates how much babies, like everyone else, can give. Interested in volunteering your baby at the Roots of Empathy program, or looking for schools that offer Roots of Empathy programs? 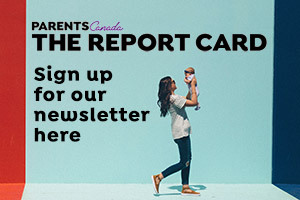 Go to rootsofempathy.org to contact a program coordinator in your region.